Researchers from Transportation Technology Center Inc. (TTCI) are analyzing new and used rail segments with neutrons at the Department of Energy’s (DOE’s) Oak Ridge National Laboratory (ORNL). TTCI is the Association of American Railroads’ research subsidiary in North America, serving the entire North American railroad industry. After studying the rails at its 2.7 mile-long railroad heavy freight testing loop outside Pueblo, Colorado, TTCI is using neutrons to better understand how stress-related effects at the atomic scale influence rail durability and performance over time. 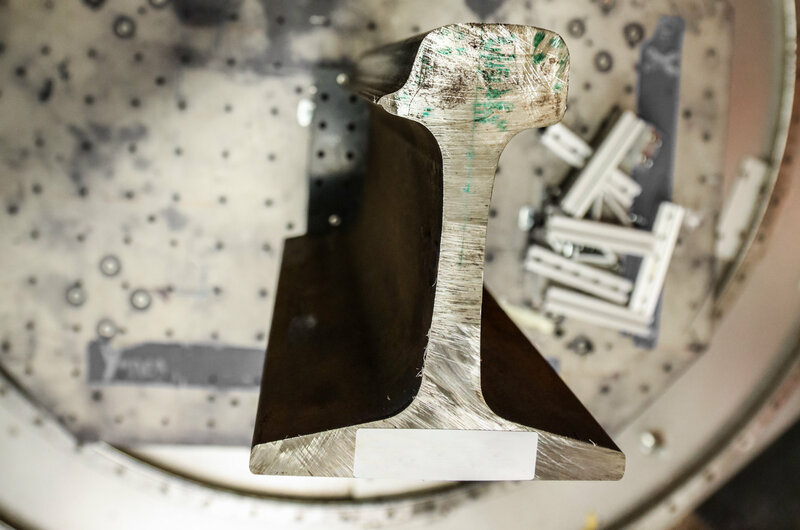 During manufacturing, steel is squeezed and deformed to shape the rail, which creates residual stress in the material’s microstructure during the heating and cooling processes. Neutrons are ideal tools for studying rails as they can penetrate dense metals more deeply than similar methods such as X-ray diffraction. 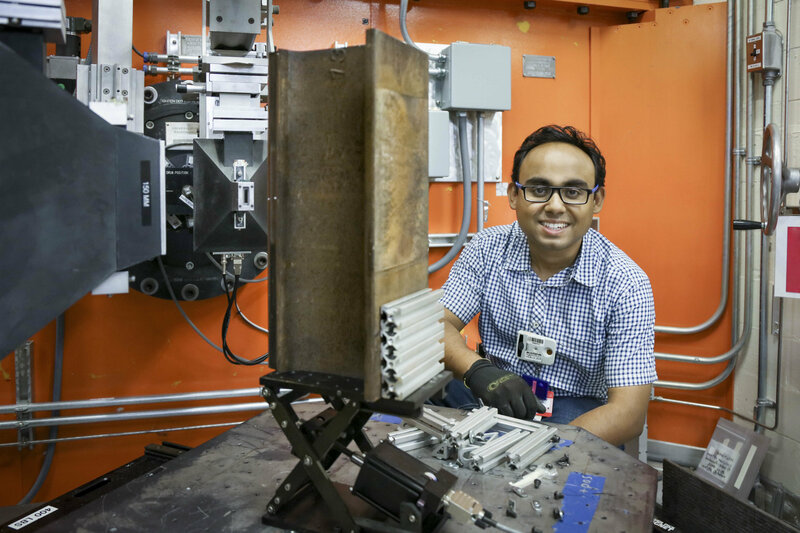 Using the Neutron Residual Stress Mapping Facility, beamline HB-2B at ORNL’s High Flux Isotope Reactor (HFIR), Banerjee was able to map the locations and magnitudes of residual stresses in the rail samples he’s studying. That information provides possible insights into how stresses were created during the manufacturing process that could impact the mechanical properties of the rail during operation. Banerjee said the neutron scattering data will help TTCI develop improved rail simulation models and other applications to enhance rail durability for increased safety and performance.